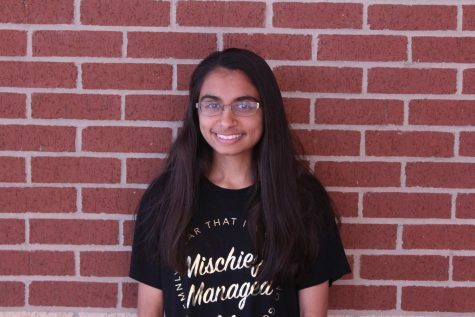 Hey, my name is Areebah, I’m a sophomore, and this is my first year on newspaper staff. This year I will be taking on the duties of a reporter and copy editor. Outside of journalism, I’m in art and I run for the McNeil track team.